Good Morning Lovelies, I hope your weekend was fun. Mines was, well, ho-hum, but anyways, we are not talking about that here (let’s save that cribbing for twitter). I have been suffering from quite a bit of hair fall since some time. I have tried changing products to using intensive conditioning and the works. It stops the hair fall for while, but then it rears its ugly head again. So on lark, & for lack of better things to do, my best friend & I decided to make some Reetha – Amla – Shikakai shampoo at home. This century old ayurvedic herbal concoction is reputed to not only strengthen hair, but also darken it and stop hair fall. I got the 3 biggies from a local kirana store. All 3 are priced at 15 Rs for 100gms. How to: Soak 5 pieces of Shikakai, 4 balls of Reetha (Soapnut) & handful of Amla (Indian Gooseberry) in about 500 ml of water overnight. In the morning, heat the mixture on gas till it just starts to boil. Let it cool, when lukewarm mash all the amla, reetha and Shikakai to a pulp to extract all the “goodness” (a lot of suds & froth is produced at this point). Strain (don’t skip this or else you’ll end up with bits of shikakai & Amla mesh stuck in your hair – I talk from experience – Don’t ask) and use the liquid to wash your hair. The experience is a little different from using a shampoo. The moment the liquid touches your hair, it will seem to go all rough and entangled, the way to use this is to apply the liquid all over the hair and let it soak for 2-4 minutes before washing it all off with water. Don’t try and massage and lather like your shampoo – your hair will just get even more entangled than ever. Just apply the entire 500 ml generously all over wet hair hair and scalp. Let it soak, don’t disturb and wash off. After 4 minutes, I rinsed very well with water and applied some conditioner to the hair ends. Caution: Don’t let this enter your eyes – they will STING like nothing else has. My experience: I loved it! ﻿Generally when I wash my hair, I end up losing a lot of strands. I hardly lost any hair when I used this. It worked just as well as shampoo and removed all oil and dirt from my hair leaving it squeaky clean. My hair looks healthier, thicker and shiny. It also separates hair strands giving me a lot of volume which I am loving. I am planning to skip using regular shampoo & use only this for the next 2-3 months to see if it helps stop hair fall. You may not like this if: You like shampoos that lather, have nice perfumed scent. 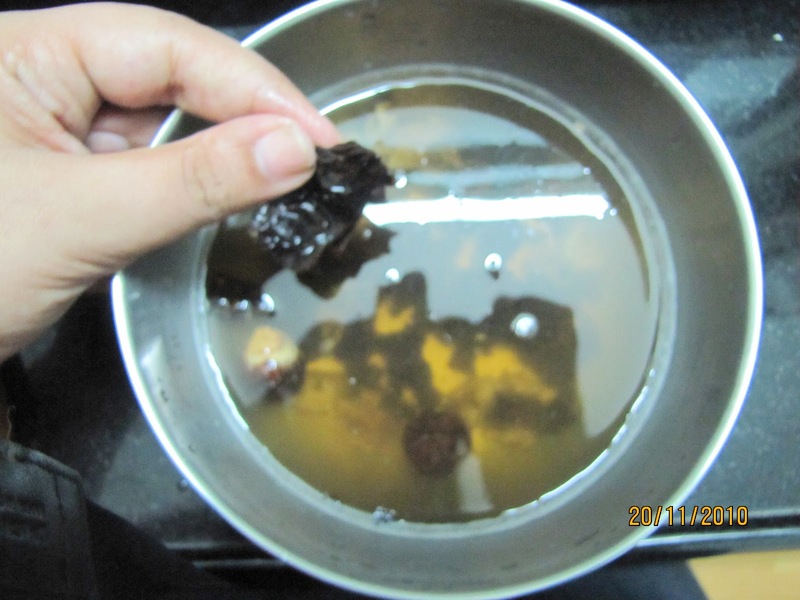 It also tends to stain a little bit – my hands were a light tinge of indigo after washing – nothing seriously though – a good hand wash will remove it in the first wash. Also it may cause some hair dryness. Also if you are replicating this – please check for allergies by doing a patch test. Have any of you ever used this? How was your experience? Anamika how did u make and use hibiscus flower shampoo? great post tanveer. and do a repost after the time period to tell us whether it really works with stopping the hair fall! It really works. I'm shampooing my hair with only Reetha nowadays. I have curly & extremely dry hair & I'm was worried about them. But now, I really love my hair. Reetha is magic. Tanveer! I use this & it really works,but the only thing I don't like is the sting! As for the dryness what i do is , first I apply curd for 30 min before hair wash & then I wash with this reetha mix so this doesn't cause dryness! I have been using this throughout childhood and college only recently when i started working i switched to commercial shampoos. If reetha quantity is increased and if you are using large berries then each hair separates out.If amla is increased hair becomes incredibly smooth and if shikakai is increased hair will become brownish red and smooth. I don't know if u are an hair oil person but a little oil one hour before bath prevents dryness. hey hina, do you use whole pods of reetha ,shikakai or market powder? i personally use only whole pods , for convenience i had tried market pwders but it did not work for me. also, there is a threshold point. remember reetha is a natural saponin it does not clean scalp on same principle like soap or shampoo. Also, if you have oily hair you might have to wash every day. Many ppl abandon reetha and shikakai because it doesnt remove oil at one go. for example when i started out i remember only a couple of large reetha berries and 2 shikai pods was sufficient for my waist long unoiled hair....but then when i use south indian reetha variety i have to use a handful. so try changing reetha quantity. try using reetha alone, see if it takes care of greasiness. I am using whole pods of Amla reetha and shikakai, I guess, its better since I know these three things are original while they can mix anything in powders..I tried increasing reetha and reducing the amount of Amla..coz someone told me my hairs a bit oily so try not to over condition your hairs with AMLA.. I dont have waist long hairs but still i have to use 7 to 8 reethas, 3 to 4 amlas and 3 to 4 shikakai..now with less amla, my hairs are less oily but somehow there are still traces..so I have decided to oil my hairs once a week..lets see if it works..thanks for the advice! i oil my hair a lot. does it clean all the oil your hair off in the first application ? Great that this worked for you. A few years ago, I had bought all these herbs in powder form & tried using them. It was awful. My hair fall actually increased! Maybe I should have bought the items whole & powdered them myself. @Zee Bee: hey, thanks for the info. I love the way Reetha separates my hair out - but it still feels smooth & silky! I do like oiling my hair, generally do it on the weekend - I'll do that before my next shampoo with this. @Ms. Gayathri: Hmmm, I haven't used this on oiled hair yet, so I can't say. But from what I read in the comments above - it seems like it does remove it. @Poohkie: I have seen those powders too, call me paranoid, but I could never get myself to trust them - they all looked the same - dusty brown powders & I got all suspicious. Why use powders when the actual whole herb is available so freely? I just use it in place of shampoo, so I guess you cld use it whenever your hair feels like it needs cleaning. 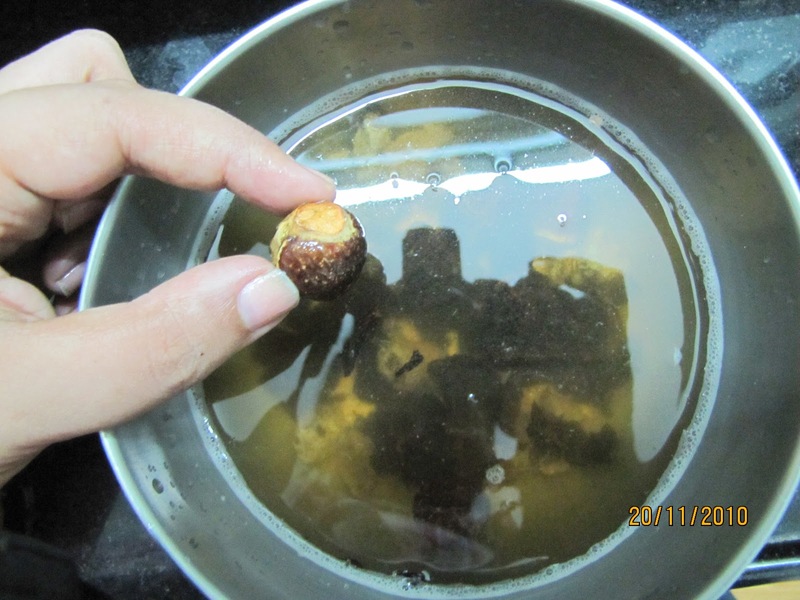 English names, I know that soapnut is either Shikakai or Reetha & Amla is Indian Gooseberry. Is it safe to apply this amla-shikkakai-reetha shampoo daily. hi Tanz, am reading this old post now...its very true to the core. I too had severe hair fall and was quite hesistant to do head bath......even shampoos cause hair fall you know. and my mom since young she has been using shikakai to clean her hair, trust me, she is in her mid 50's and her hair is so thick (i have very less than her) with no grey hairs, no hair fall...she used to warn me not to use shampoo...me so lazy and liked the lather..so stuck to shampoos.....and ever since i could not stop my hair loss....i myself decided to stick to herbal shikakai powder (we get this Meera herbal shikakai powder) am using this and my hairfall has stopped considerably and am quite happy about it....please let me know hw this remedy has been working on you and i will try to do this atelast a month when i get free!! I used this as shampoo for 5 months - from November to April. Once my hair was decently healthy, I then got my hair relaxed and started to use special shampoos & conditioners meant for relaxed hair. Great Post....was looking for hair fall solution..
just wondering, do we have to make this shampoo every-time b4 head bath or can we make a batch and keep it.. Thanks fr the help and keep posting the results..
Really! Hmmm, that is a nice tip, Thanks! Hii frnds..I have some queries..pls help me..
may I use oil before apllying this pack?should I cut the amla in small piecec or just as it is?where from I can get shikakai? can we use this in oil like instead of making shampoo we can put them in oil (mustard oil, almond oil or any other). I have one query- over a year now...Are you still on this amla-reetha-shikakai regime. any improvements you have done with this recipe? Preeti, I followed this for about 5 months (nov - apr) and then since I got my hair chemically relaxed I decided to not do this. I found this to be prefect the way it is. I generally avoid henna as it dries out my hair. But I guess you cld add it, there is a comment above on henna. i have bought amla, shikakai from the market but didn't find reetha in any store so i bought nutmeg instead of reetha. Is that okay to use nutmeg instead of reetha? will it effect same as sopanuts? I live in New York and i found reetha every where but didn't find it.do u know any place where i can find and if i can use nutmeg instead of reetha? Mona! I don't know if nutmeg is safe for use in hair, as I have never heard about it neither have I used it. Reetha gives this mixture the cleansing power it needs, which I am not sure Nutmeg wld be able to provide. I have never even been to NY so I have no idea where you wld get it in NY. I wld suggest you don't use nutmeg & use Shikakai & Amla in the ratio 2:1 only. 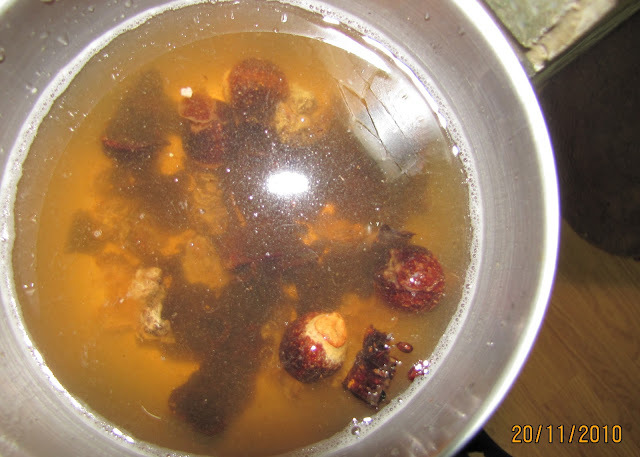 When we soak amla, reetha, and shikakai in water we have to open the reetha and shikakai and put seeds in water or just put them in water as it is. Because reetha and shikakai have seeds inside?? Hi - Im having hard time finding whole amla/ reetha/ shikaki in indian stores in NJ. Can I use the powder form ? Soak them night before, boil and strain, will that work or not ? hey tanveer...i have prepared the same stuff to use tmrw morning...hope it works for me as well...and one more thing, wot kind of chemical relaxation have u done for ur hair? I also want to do it...is it smoothening and rebonding? And where did u get it done from? hi...im planning to use the same tmrw morning...all set wt the mixture...plz advise me about chemical relaxation also...what have u got done wt ur hair? is it rebonding or smoothening? I am also willing to do the same...have very dry curly hair..but it falling a lot now...can v use amla and all this after chemical relaxation? I hope you like using this! I got my hair chemically relaxed, which is straightening. I think it is the same as what you are referring to as rebonding or smoothening. If you are already suffering from hairfall, please consult a hair expert before doing any treatment as it may get worse. I got my hair treatment from my regular hair stylist. You can go to any reputed salon like L'oreal for the same. Before you get any treatment, get a complete consultation done on your hair health. You may need some treatment before you can relax your hair. And no, you cannot use this amla shampoo once you have relaxed your hair. Relaxed hair is very fragile and needs a very gentle shampoo created specifically for that hair type. I loved it Tanzzz...oiled my hair a night before and did exactly as mentioned in ur blog...washed it off and got a squeaky clean scalp...no oil at all...wow! Im ready with the second round for tmrw...i have started on vit b and zinc for my hair loss problem...hope to get beautiful hair within the next year... And i have postponed my plan for hair straightening... Thanx for the magical shampoo! Can we use dry amla instead of fresh amla? You said you would use this for 2-3 months. Just wanted to know your results, as even I am planning to try this out. Thanks for sharing. i am trying this natural shampoo today after reading ur blog. after use this shampoo i feel more oily my hairs. like too much hair oil i used on my hair. Use more Reetha in your mixture. same procedure...shikakai,reetha,amla and plus 30-40 neem leaves...and boil it up for about 15 minutes...extract , apply enjoy..... "maaza aa gaya..."
In this line :- Just apply the entire 500 ml generously all over wet hair hair and scalp. Let it soak, don’t disturb and wash off. what does mean we have to apply all 500ml of mixture at one time ?? or what please explain . . . Thanks for the neem tip Deepak, I hope this worked for you. Th shampoo is good for a week if stored in the fridge. @Incredible: Yes, use it just like you would use shampoo. Archana, the powders don't work according to me. If you can find the whole herbs that is best. The nails do get stained, but that goes away in a day. Did you prepare it in an Iron vessel? I'm not sure why your bath tub stained though, it'll go away with a cleaner. hey i am ashish from bangalore because of water problems my hairs are falling ,, i am using bore water (hard water),, nd because of ths hairs almost turned to white,, can u help me?? You could try this, maybe it'll help. hi i'm shree. i made this mixture and the result was i got nearly 2 liters of this mixture. how long does it stay gud? does it go bad very soon? 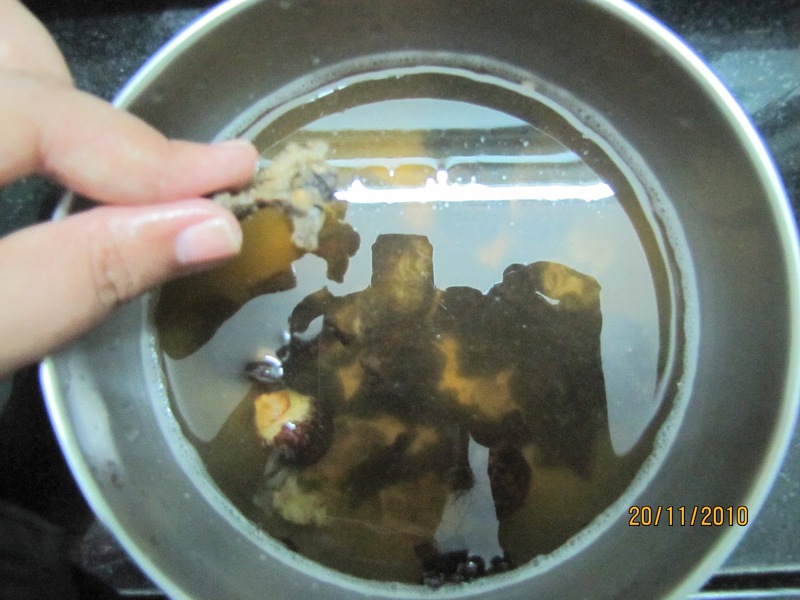 i don want to waste this mixture please guide me. i'm also havin terrible hair fall all of sudden and my hair quality is going worse. i've not used the shampoo stil. please give me some important tips for making hair thick and strong. You can keep it in the fridge, though I have never used more than a 7 day old mixture so I can't say. Its been almost a year since you posted this blog.. I am starting to experiment on this herbal shampoo, just wanted to ask you if you're still continuing it.. Also, have u completely stopped using chemical shampoos? At the local grocer's store. I m defintly going to try this, my only concern is if it removes oil. Lets c .
It depends on what oil you use. If you use thicker oils like castor or mustard, this may not be able to cleanse your hair of oil. Washing air with warm water does help remove oil faster. IN order to take care of dryness after using this shampoo, i think i have a better idea, where my recipe also includes 2 tb of sundal/ olive oil after the mixture has been boiled. and by the way other things that my recipe includes are poppy seeds and a handful of dried neem leaves. hey... til now i had been using chmcl shampoos n last year u startd conditioning my hair with l'oreal products... its nyc no doubt bt a few days ago i found a grey hair ... which i had never seen before n m worried is this d bad effect of conditioner or wat?? have hairs long as my shoulder .. m afraid it wud nt turn out to be allergic ?? plzz hlp me out..
Grey hair is caused by excess buildup of peroxide in the hair shaft... essentially oxidative stress. I doubt it is caused by your choice of shampoo or conditioner and may be more driven by your diet and lifestyle. I am not sure using this shampoo will reverse your grey hairs, but you can try. For allergies, please do a patch test on your forearm before use. hey... till date I have been using only chemical shampoos.. last year on d advice of my friends i switchd to conditioner.. l'oreal.. it works great my hair is good.. no doubt about it.. bt i have seen one or two of my hair turnd grey or i dont actually know if it was unnoticed before.. also i have a problm of hairfall n split ends.. so m afraid if il these are d bad effect of chemicals or watt... plzz help me.. i wanna use this amla rwwtha shikakai shampoo .. but i wud like u to ensure me first if it wont cause any allergy or so.. waiting for ur suggestns at the earliest..
Hello dear, I have sued this concoction 4-5 times now but it does not remove oil from my hair. What to do? I am not sure what oils you are using. Try lighter oils like coconut, increasing the amount of reetha and washing your hair with warm water. My hair colour is brown. Not light but not dark either. I don't want my hair colour to darken. Will this darken my hair colour? I have these herbs in powder form so how so I make the paste? Is it a substitute for my shampoo? Should I make it all together or for each use separately? How long can it be preserved? Could you tell the amount of each thing in tablespoons please or small amount in grams? Thank you in advance. Thanks Jayashree! I don't know of any hair straightening remedy that can be performed at home. Heat or chemicals are your best bets. Hey my hair I belive is completely dead as I have done colouring rebounding and use diffrent different things now they are completely frizzy stiff dry and lifeless can you please help me and tell me what to do???? should the mix has to be boiled?? or can i use it just after soaking?? i also read that it has to be made in an iron vessel... is that essential? or any cup would do?? does the mix has to be boiled?? or can i use it just after soaking? i also read that it has to be made in an iron vessel.. is that essential? or any cup would do?? oily hair. Sometime it creates an uneasy situation for us. The other problem of oily hair is that sometime smell bed which is embarrassing for us. Dear ranveer its really helpful I use this since 5 months got result I faced serious hair problem after using chemical shampoo I also added neem tulsi leaves dry lemon black pepper fenugreek cinnamon green gram triphala here is my five week hair care Onion garlic ginger paste .sour curd multani mitti .alovera jel and cucumber lemon .hibiscus extract .boiling water of rice. Im also facing severe hairfall and since 4 weeks im using this concoction.It feels great but have a lot of dandruff problem than before.pls suggest me something na n by d way how many months does it take to reduce hairfall? 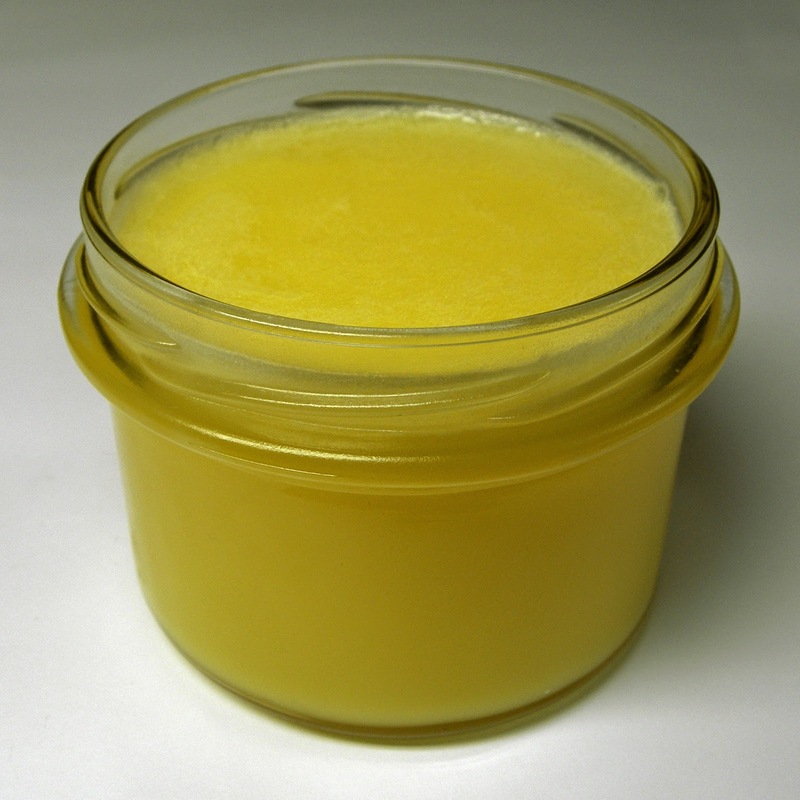 I have been using this homemade shampoo for almost a year. I still have hair fall but less than before. And it still feels dry. The hair looks dry too. What do I do. While applying this mixture it leaves the black colour on hands.Tell me how to remove that. well not that great experience and i burnt my left eye as it accidently fell into my eyes .. i didnt knew it could happen .. i was so scared.. now i am here searching on internet about this and came to know about this precaution.. will keep on using this though .. just with care to see some result. Hey i recently started using this mix and i want to know if i should use shampoo just after using it as my hair type is oily and i am not able to get rid of my oil after applying it or should i just stick to the mix only until i get the results? Hey i recently started using it &i want to know if i should use shampoo after just using the mix to rinse it off as my hair type is oily and the mix dosent helps to get rid of oil or should i just stick to the mix until i get the result? Can I prepare the shampoo and keep in bottles for 3 4 months? Is it okay to store the preparation and use every weekend? Is it okay to prepare the shampoo and store in bottles for later use? I have prepared the shampoo and stored in bottles for later use. I have just started applying it. Will my shampoo liquid will work till 3 months or do I have to prepare a fresh one every time?